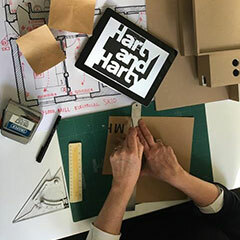 Harty and Harty are Architects and Interior Designers, initially established in 1997 by Stephen and Annabelle Harty. They have a broad range of projects from small to large, new build and refurbishment, for domestic and corporate clients. They were shortlisted for Young Architect of The Year Award in 1998. The years that followed saw both partners work separately within the industry to finally re-group as Harty and Harty Limited in 2015. 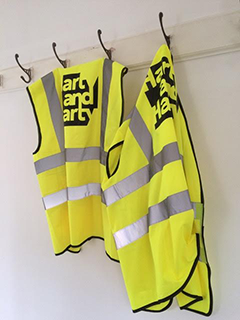 They have studios in both London and Wiltshire and have a strong support network of skilled associates who work closely with them, depending on each projects demands. They are cultural, imaginative and creative Architects who work closely with their clients to make each project special. We are Architects who listen. We develop a relationship with our clients and work together to develop a brief, design and budget for each project. We explore as many options as possible to reach a solution that is both practical and a quality piece of architecture. Both directors sketch and draw fluently and we always make models to test the design at key stages in the project. We are excited about construction and being on-site. We are not a corporate practice but are hands-on architects who will get to know you and surprise you with original thinking and high quality architecture. 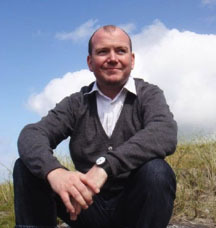 Stephen Harty was born in Glasgow in 1968 and studied Architecture at the Mackintosh School of Architecture in Glasgow. He studied Fine Art at the Glasgow School of Art for a year before moving to New York to work as a cabinet-maker and architectural assistant. He returned to the UK to study at the Bartlett School of Architecture in London and completed his Diploma with Distinction, the school Drawing Prize and a Travelling Scholarship. He worked for Barbara Weiss in Islington before joining Richard Rogers Partnership, where he worked for seven years. He took his Part III at the Architectural Association and joined John McAslan Architects for a year before establishing Harty and Harty with his wife Annabelle. In 2003, he decided to work in the commercial sector and joined GMW Architects, becoming an Associate, Executive Associate and Partner within a few years. He then left to work for Austin Smith Lord on cultural projects in Abu Dhabi before re-establishing Harty and Harty in 2015 with his wife Annabelle. Stephen teaches at the University of Westminster, London. Annabelle Harty was born in 1965 in London and worked at the Royal College of Art and lived in Havana, Cuba before studying Architecture at the Mackintosh School of Architecture in Glasgow. In her year out she worked for Martorell Bohigas and Mackay in Barcelona on the Olympic Village, before returning to complete her Diploma in Florence and Glasgow. After graduating, she worked for Benson + Forsyth for five years on the Museum of Scotland project in Edinburgh. 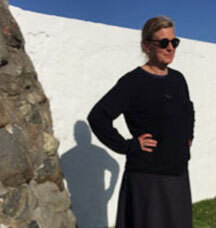 She established Harty and Harty Architects in 1997, working in various sectors for a variety of clients. She is a model maker and skilled crafts person and in 2002 formed Henderson Press, a publishing business, producing handmade artist’s books. In 2018 she launched Arrange Whatever Pieces Come Your Way with fellow quilter Sheelagh Boyce, with a collection of Architectural Quilts. 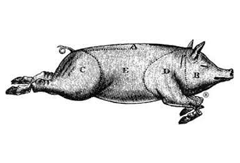 Among other projects her editing work for ‘Nose to Tail Eating’ by Fergus Henderson won The Best Cookbook Award. 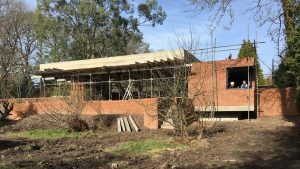 She worked with an architectural outsourcing company and with Dan Pearson, the award-winning garden designer, until re-establishing Harty and Harty in 2015 with her husband Stephen. This document details the background information about how we like to be appointed. We are fully qualified and experienced Architects. We are chartered members of the Royal Institute of British Architects, RIBA. Member No.8820113. We are registered to practice with the Architects Registration Board, ARB. We are VAT registered No.226742506. We are a limited company registered at Companies House No.7964070. We have professional indemnity insurance cover with AXA.